POP International Galleries, in conjunction with the Revolver Gallery, has announce the debut of ANDY WARHOL: At Face Value. The brilliantly curated show will feature a collection of works from the legendary New York artist. The collection will feature 50 original Warhol pieces – one of the largest collections of Warhol under one roof at one time. The collection will be located at Pop International’s SoHo location, with POP hosting the opening reception on Monday, November 10th and a selection hanging concurrently at POP’s Midtown location in the Citicorp Building. 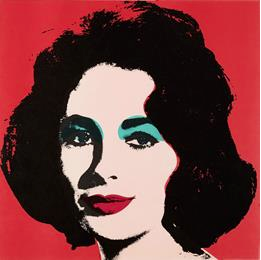 Warhol fans and collectors alike will have the opportunity to view and purchase the classic pieces. Works to be featured will include prints of the famous Liz Taylor, Marilyn Monroe, Muhammad Ali, Truman Capote, Mao and the Campbell’s Soup Cans. Also featured for sale at the exhibition are some of Andy Warhol’s much coveted personal Polaroids, which were recently featured by Digital Trends and PopPhoto.com. POP SoHo will house the works, which are some of the most influential figures in contemporary art and culture, for a limited time only, with the collection open to the public beginning Tuesday, November 11. This entry was posted on Friday, November 7th, 2014 at 10:59 am and is filed under Art, New York City Events, Public Relations. You can follow any responses to this entry through the RSS 2.0 feed. Both comments and pings are currently closed.